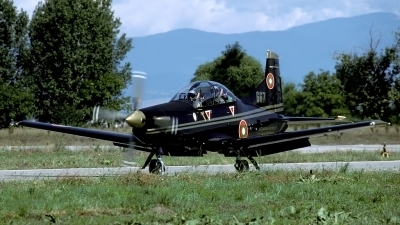 PC-9M assigned to 12. 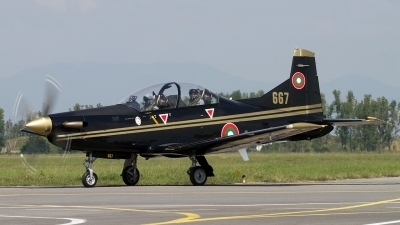 UAB (Training AB Dolna Mitropolya / 1. 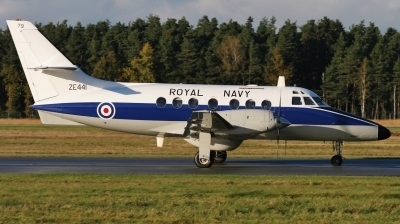 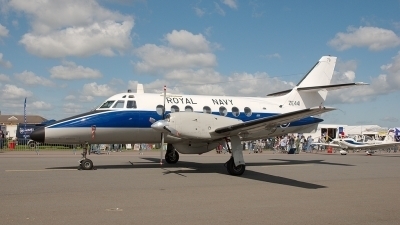 Utchebna Avio Eskadrila (training sq.) 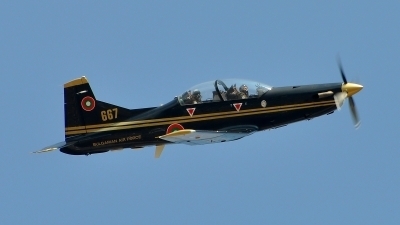 captured during solo display at BIAF 2011. 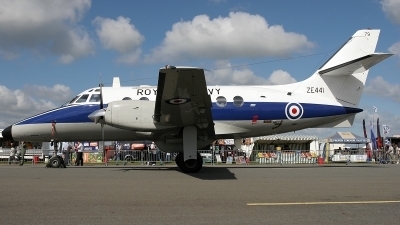 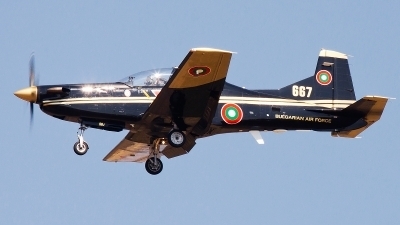 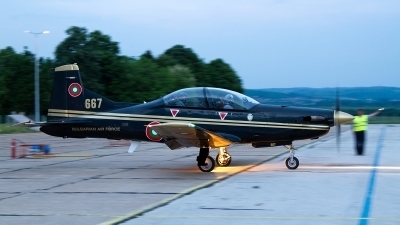 Bulgarian air force purchased total of 6 PC-9M and this type is in duty since 2004.